Singapore brands: First world infrastructure but third world brand building mindset! Singapore is by all accounts an amazing success story of rags to riches in less than half a century, and the city state boasts some iconic brands like Singapore Airlines. However, with this one exception, most of the other companies, e.g., offer world class infrastructure but fall down miserably when it comes to the human touch that needs to accompany it. Consider my recent experience. My wife and I have been Singtel customers for over 8 years now and collectively we spend close to $500 per month on just our mobile connections, which makes us pretty good customers. Recently, due to the availability of a corporate contract with competitor Starhub, I decided to switch my mobile account to Starhub but my wife, satisfied with the Singtel connection was content to remain with Singtel. Unfortunately, due to my error, Starhub ported my wife’s number instead of mine to Starhub. On discovering this I approached Singtel to port my wife’s number back to Singtel. After several phone calls to the manager, it appeared that the manager also did not know if the number could be ported back by Singtel. They tried to fob me off by saying Starhub could port the number to Singtel, which is clearly impossible even from the perpective of a technological novice like myself. When I insisted that Starhub had told me that only Singtel could port it back just as it was Starhub that had ported it from Singtel to Starhub, the manager decided to call the “porting team” and the person at the information desk asked me to wait and gave me a number. Some ten minutes later she came to me informing me that the porting to Singtel was possible but I would have to sign a contract. I pointed out that we had been customers for 8 years and it was only an error on my part that had lead to my wife’s number being ported to Starhub and since she was out of town, I could not sign a contract on her behalf. But, hey, rules are rules. Singtel chose to let my wife remain a Starhub customer rather than gain her back. Clearly, not only did the Singtel brand lose a bit of lustre in my wife’s eyes but in mine too. 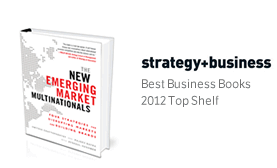 It seems that Singtel and many other Singaporean companies have not heard some simple truths. 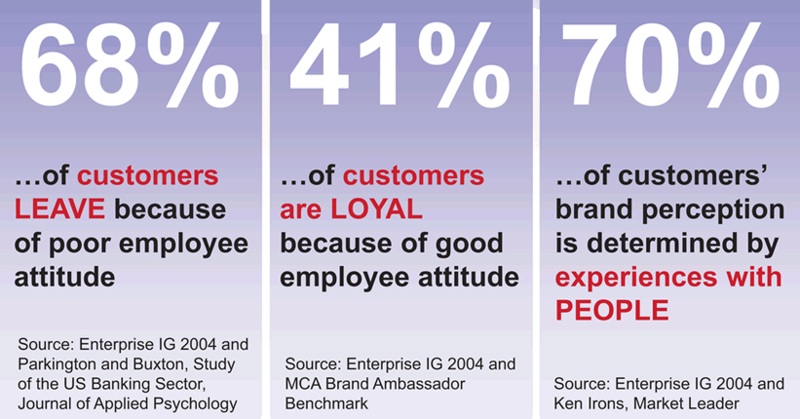 As the chart below ,shows, roughly 70% of customers’ perception of a brand is determined by their interaction with employees, and not surprisingly 70% of customers leave a brand because of poor employee attitude. Clearly, the lack of skills to understand customers’ issues among front line employees and managers’ indifference to customer requests have a significant impact on the brand loyalty of Singapore’s brands, as they did in our case with Singtel. So, unless the first world infrastructure of brands like Singtel are complemented with the soft management touch that is so necessary, Singaporean brands will have a difficulty in taking a place at the high table of brands. DIY Smartphone — what a great idea! Indian politics has a leadership vacuum!